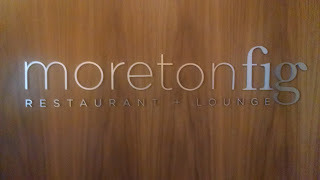 As part of my visit to USC, Paul introduced me to Moretonfig, one of the restaurants on the campus. 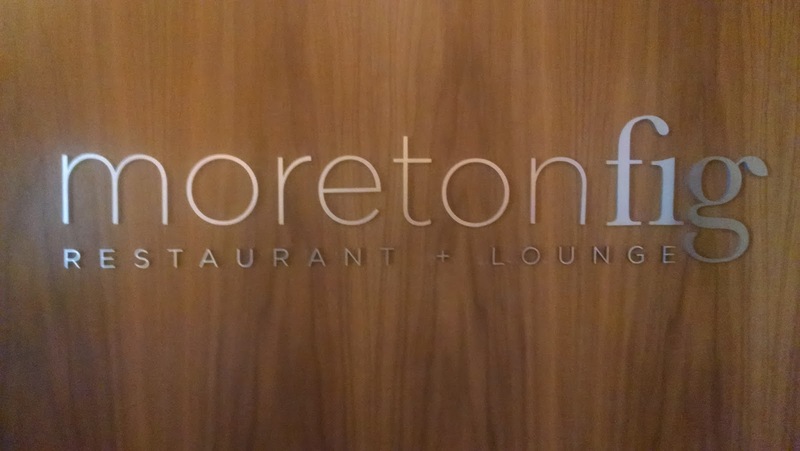 It's an alternative to the faculty club with the ambience of a fine restaurant. 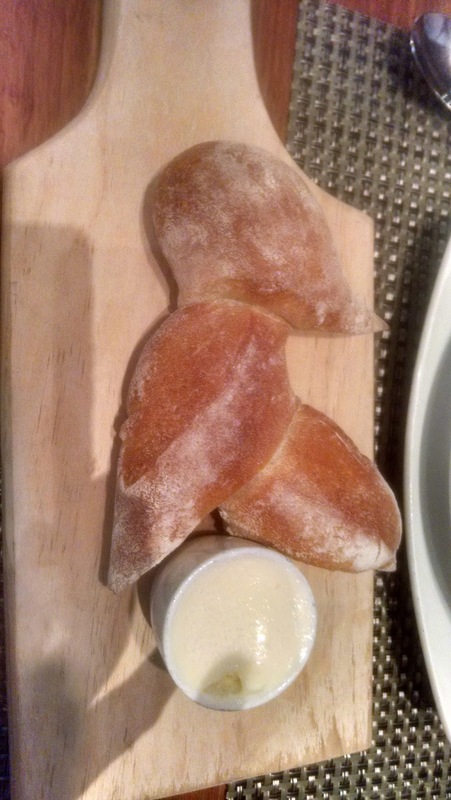 We started with wonderful fresh bread. 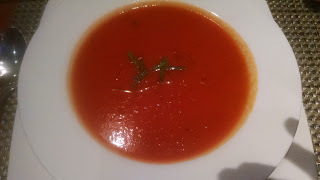 My tomato soup was outstanding. Both the acid brightness and sweetness of the tomatoes came through perfectly. 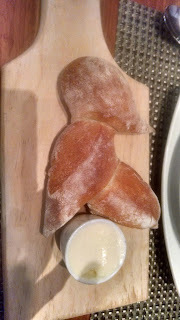 The soup had little or perhaps no cream, which was a good choice given the quality of the soup. 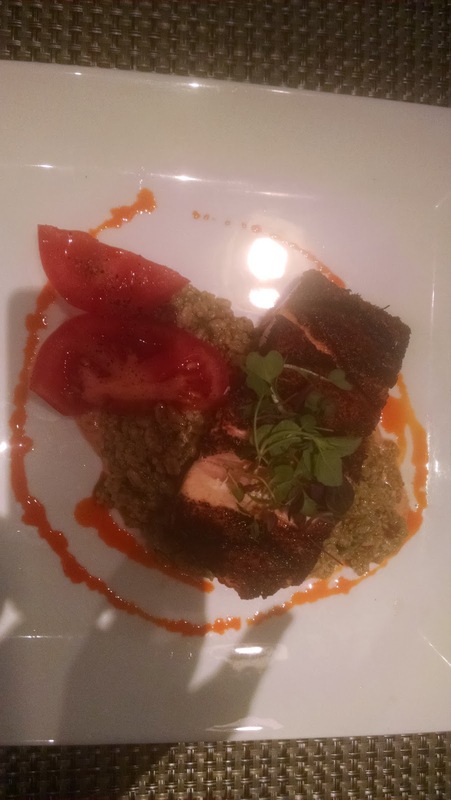 Paul and I both ordered the blackened salmon. The fish was very fresh and moist. 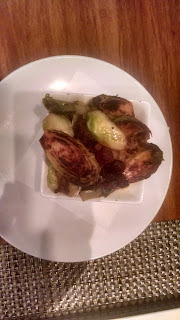 I also enjoyed my roasted brussel sprouts. They weren't overly doctored with sugar. They came with bits of outstanding bacon.